This mini amplifier adopts 6J1 tube for Preamp. part.The sound is balanced, delicate and Clear.This nice amplifier use very famous United State NS amplifier chips LM4766T,having lower distortion and a better sense of hearing.In addition,this amplifier adopts Taiwan-made W.L potentiometer for volume control,the German Red via MKP WIMA polypropylene coupling capacitance , blue or red power indicator,rotary switch and high quality relay switch the input signal channels,high power toroidal transformer with less magnetic leakage as the power supply. 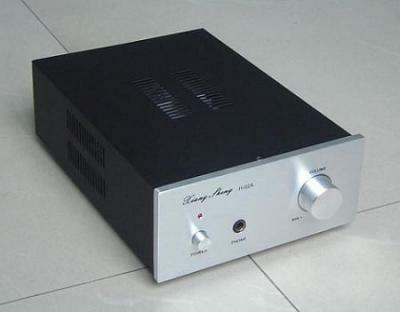 The engineer especially recommends this amplifier for middle or small listening room.